Today's picture was taken on November 17th. Peanut and I were out on a hike around the wetlands near Shorline Park. We couldn't take LuLu with us because it's a waterfowl wildlife refuse. (I blame the ground owls.) 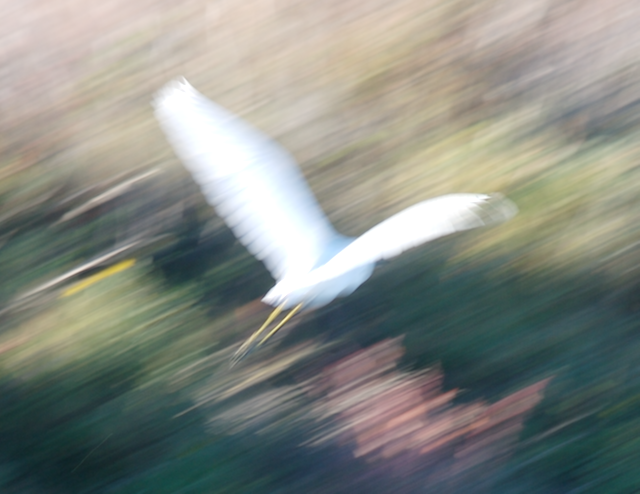 I was taking a picture of this Egret when it decided I was too close and took off. I kept snapping away, and managed to get this (somewhat abstract) picture. The streaking is caused by the slow shutter speed (1/40s) and my moving the camera to keep the bird in the middle of the frame. The only post-processing I did was to crop the image to make the great egret more prominent. This one was taken on the Steven's Creek Trail where it passes over highway 237. 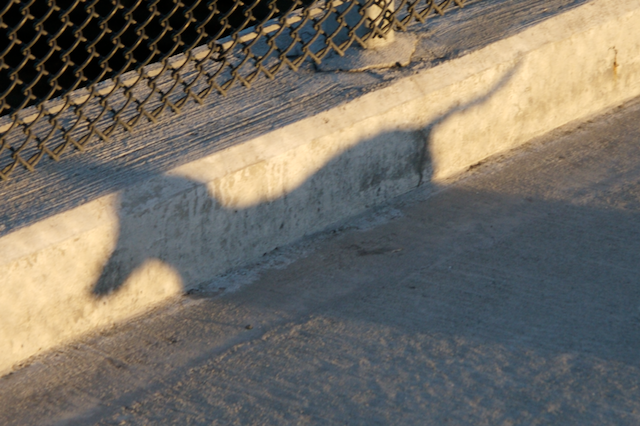 The sun was setting, giving out long dog a long shadow. 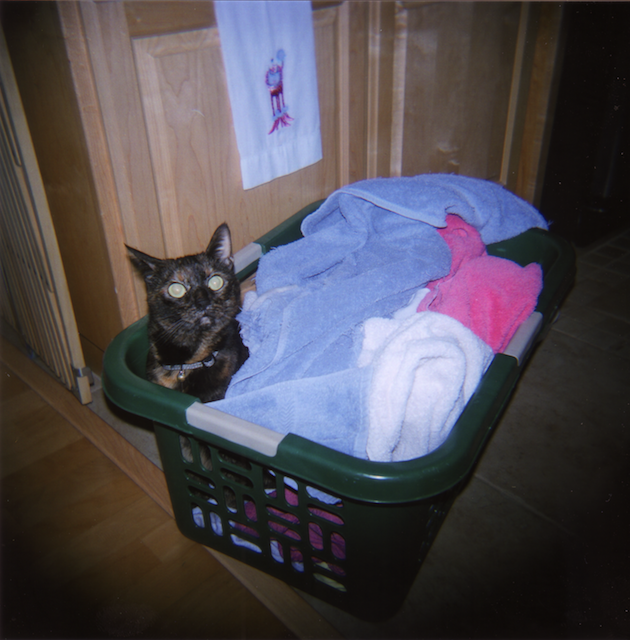 Back in December, Peanut gave me a Holga camera for my birthday, and I just got the developed film back today. 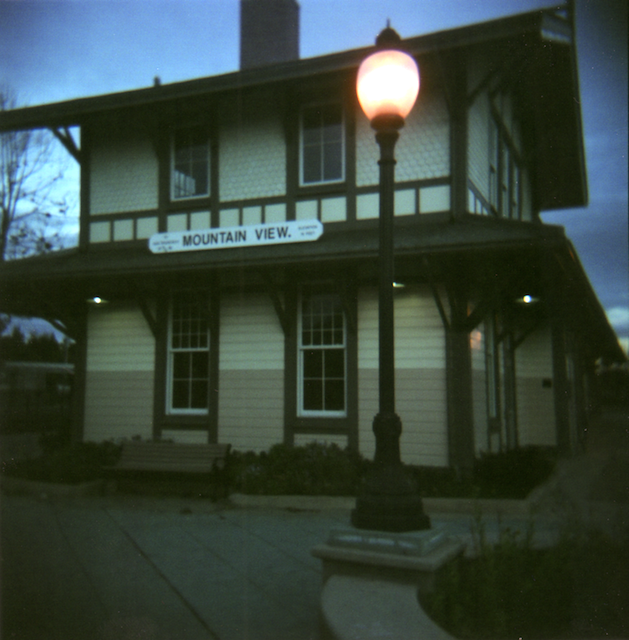 The Holga is basically a toy camera (even the lens is plastic), but it uses medium format (120) film. Everything on it is manual (including knowing how far to advance the film, more on that later). It's the complete opposite of shooting with my dSLR. And it's alot of fun. As you can see, it doesn't produce the best pictures, but it does have an interesting, low-fidelity style. 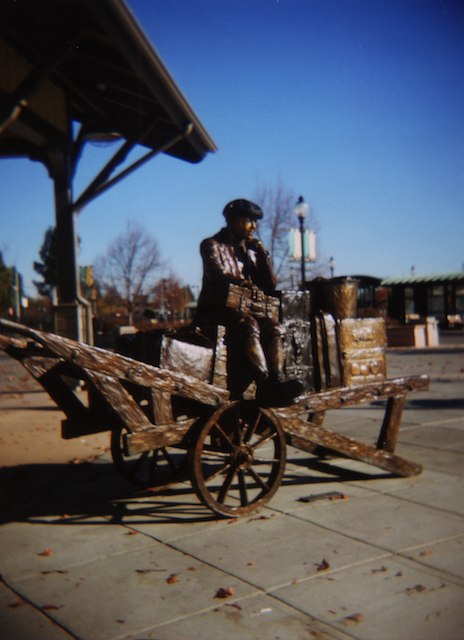 Soft focus, vignetting, high saturation, and probably every kind of aberration, but that's what gives the picture style. 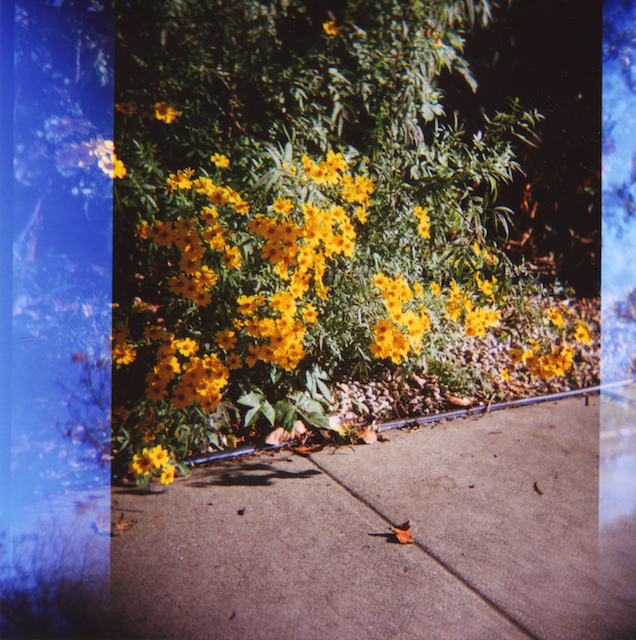 Both of these were from my second roll of film, once I figured a few things out. Mostly, I figured out how far to advance the film. 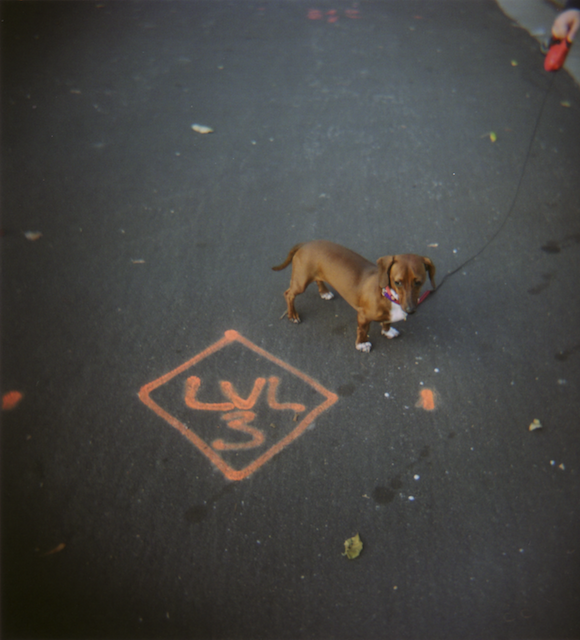 With 120 film, you've got two choices: 12 pictures at 6x6cm, or 16 pictures at 6x4.5cm. 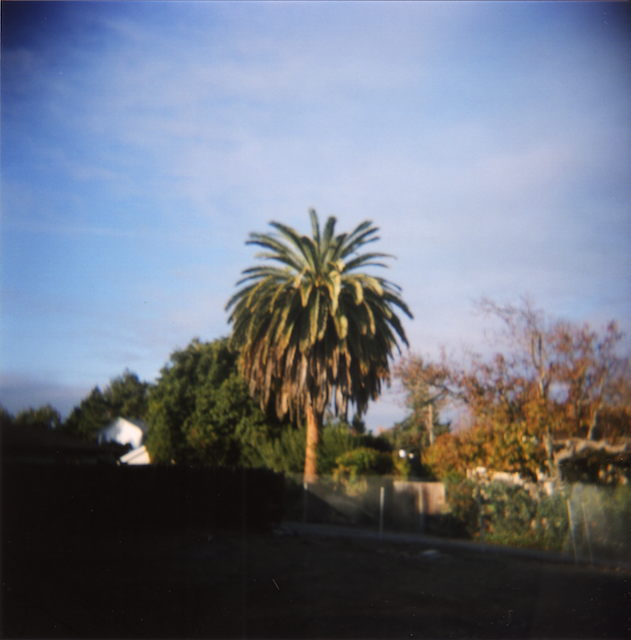 With my first roll, I was only advancing it 4.5cm, but without the mask to keep the pictures from overlapping. Here are some of the good ones with the mess cropped out. 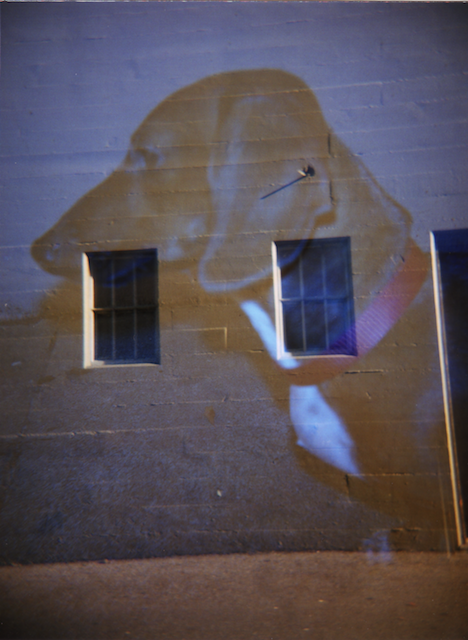 Dog on the Wall was an intentional double-exposure. Which is quite easy to to when you have to advance the film manually. I have some more good ones to post, but I'll save them for tomorrow. 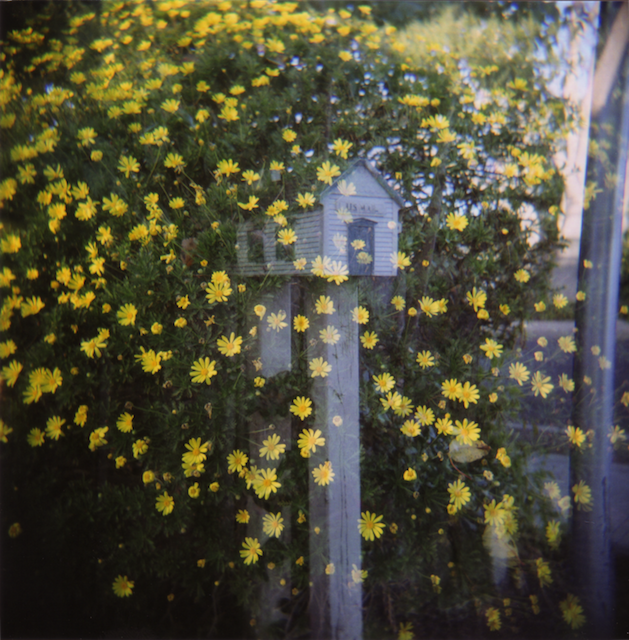 I took the picture of the flowers first because I thought they'd make a good double-exposure. I found the house-shaped mailbox further down the street. 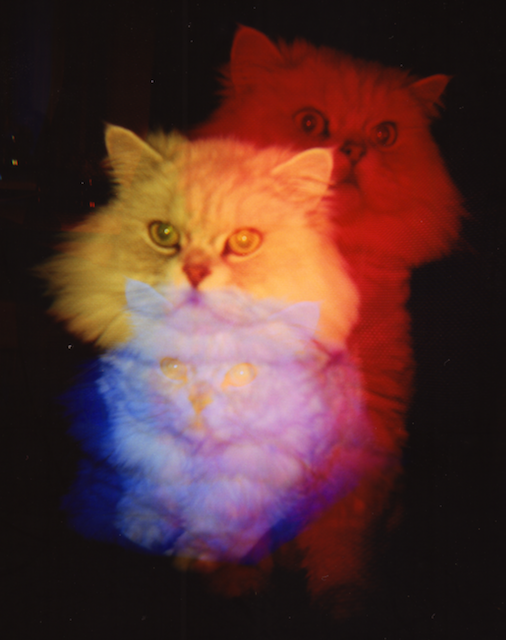 The Holga has a multi-colored flash. Here, I took 3 exposures of Miles, changing the color of the flash each time. Too bad the blue and yellow overlap so much. 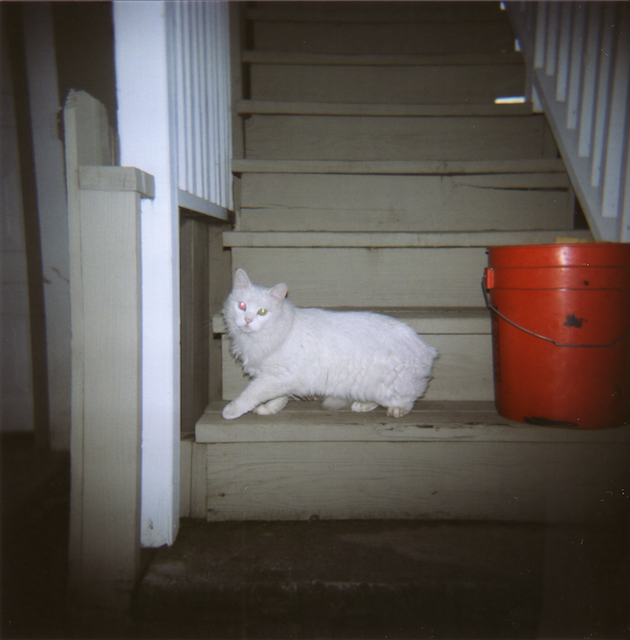 This is a neighborhood cat we've seen around quite a bit. I call him Frederick, but Peanut calls him Florimel. No clue what his real name is. And in other news: River Tam is a Terminator! This page contains all entries posted to A Thousand Words in January 2008. They are listed from oldest to newest.